In this post, we take a look at a few new and newly-catalogued recordings from the collections, including a set of communist songs from the mid-1930s, reissues of early 20th century 78s by the Egyptian singer Yusuf Al-Manyalawi, and a test pressing of a Duke Ellington alternate take. 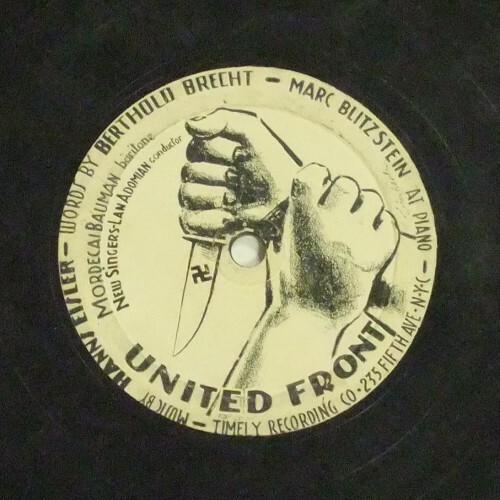 United Front; The soup song / Hanns Eisler. N.Y.C. 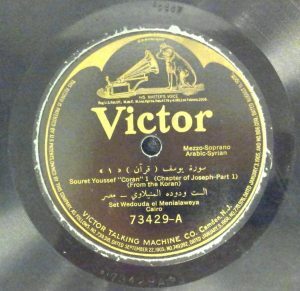 : Timely Recording Co., [1936?]. 528 Timely Recording Co. 525 Timely Recording Co. 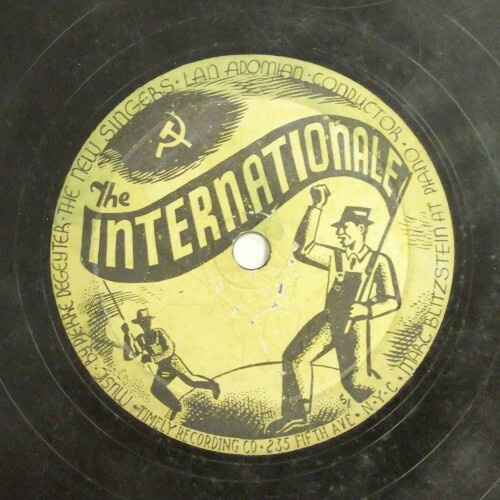 The internationale / music by Pierre Degeyter. 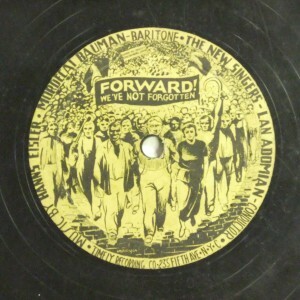 Forward! 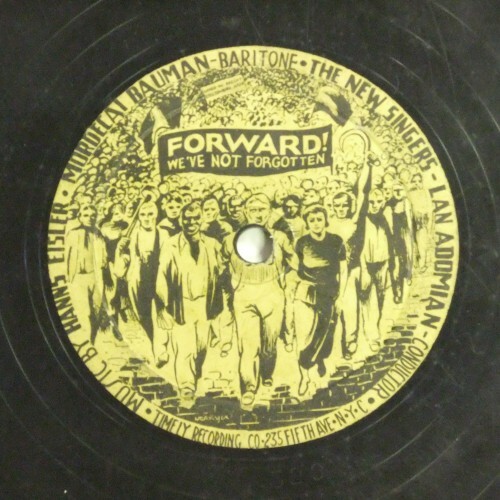 We’ve not forgotten / music by Hanns Eisler. N.Y.C. : Timely Recording Co., [193-?]. 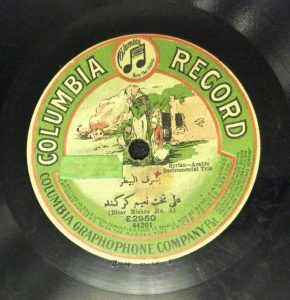 526 Timely Recording Co. 529 Timely Recording Co. In praise of learning; Rise up / music by Hanns Eisler. N.Y.C. 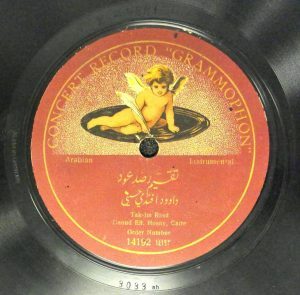 : Timely Recording Co., [1936?]. 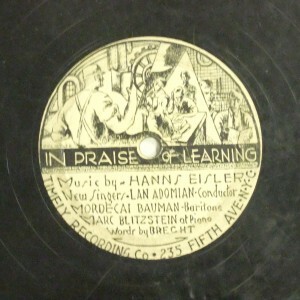 527 Timely Recording Co. 530 Timely Recording Co. 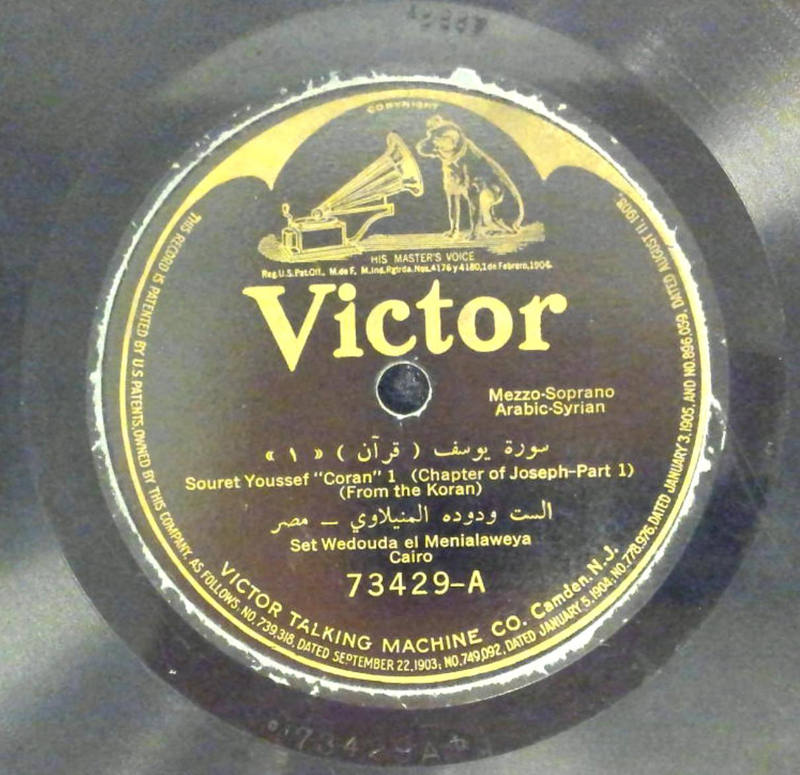 Complementing our collection of original Gramophone “Monarch” 78rpm recordings by Egyptian singer Yusuf Al-Manyalawi, we recently acquired this impressive box set produced by the Foundation for Arab Music Archiving and Research (AMAR). The Voice of the Nahda Era contains 10 CDs of recordings by Manyalawi made between 1907 and 1910, as well as two books, one in French and English by music historian Frédéric Lagrange and the other in Arabic by Prof. Muhsen Sawa and AMAR president Mustapha Said. 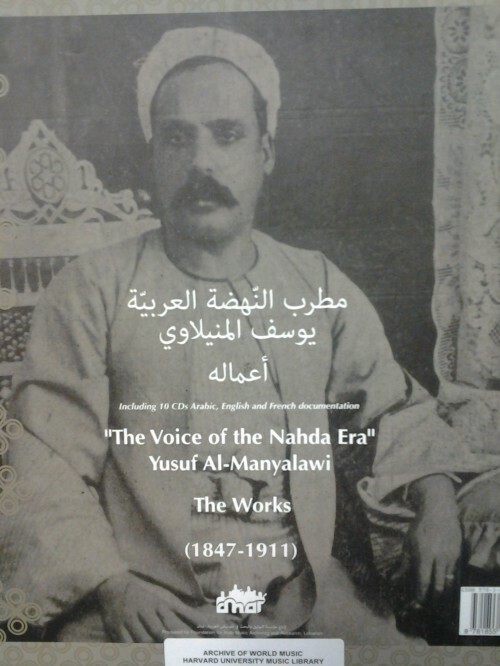 “The voice of the Nahda era”: Yusuf Al-Manyalawi: the works (1847-1911). 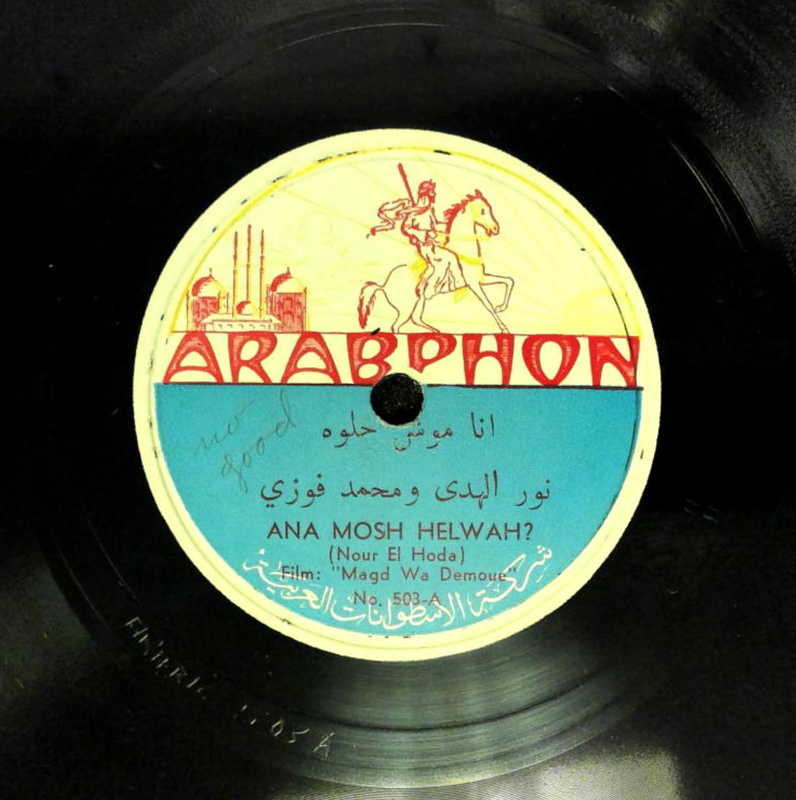 Lebanon: Foundation for Arab Music Archiving and Research, . 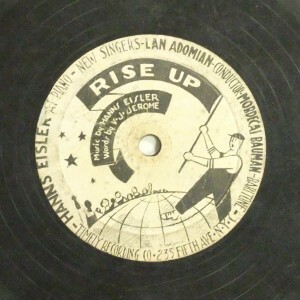 Next comes another recording from the year 1935. 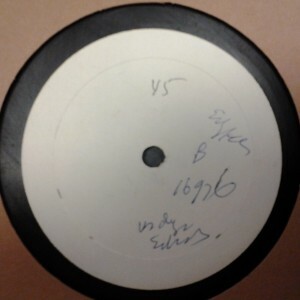 We recently purchased an original vinyl test pressing of one of Duke Ellington’s small group sessions. Take no. 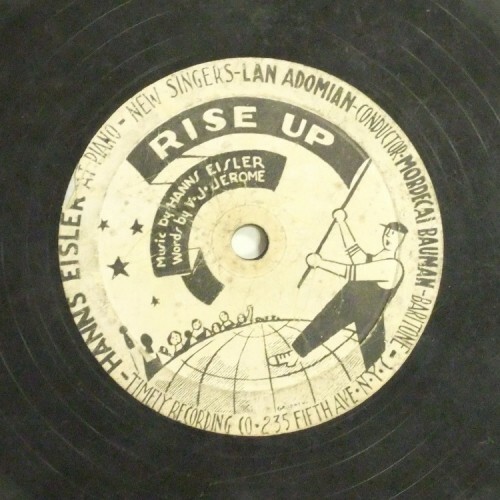 2 of the tune “Indigo Echoes” was ultimately chosen for release, but this was an unissued alternate take (no. 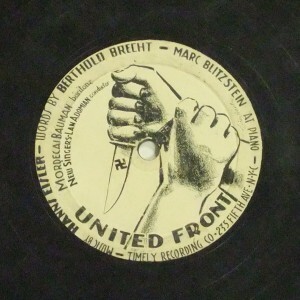 1: matrix B-16976-1). 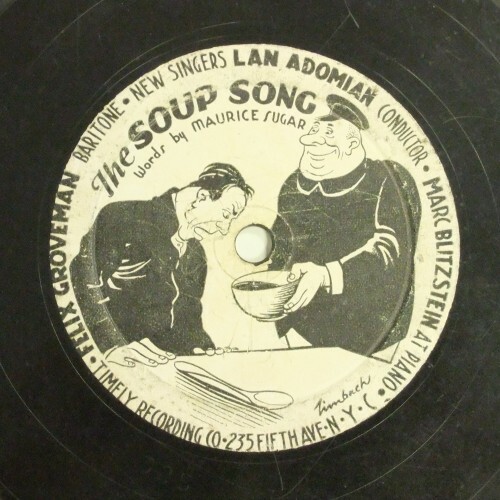 Both were recorded in New York on March 5, 1935 and featured Rex Stewart, Johnny Hodges, Harry Carney, Duke Ellington, Wellman Braud and Billy Taylor. 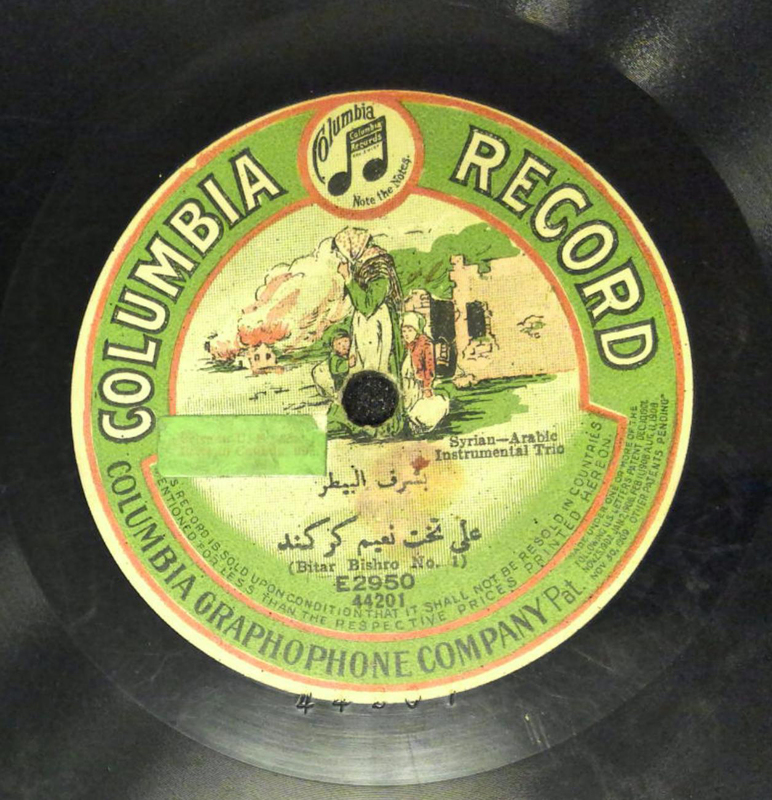 You can hear this alternate take on the Mosaic set entitled Duke Ellington: The Complete 1936-1940 Variety, Vocalion and Okeh Small Group Sessions (Record Coll. 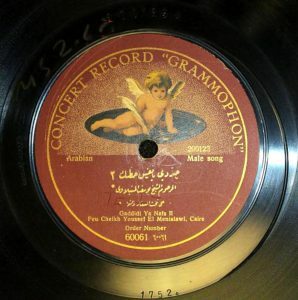 AC 36801).